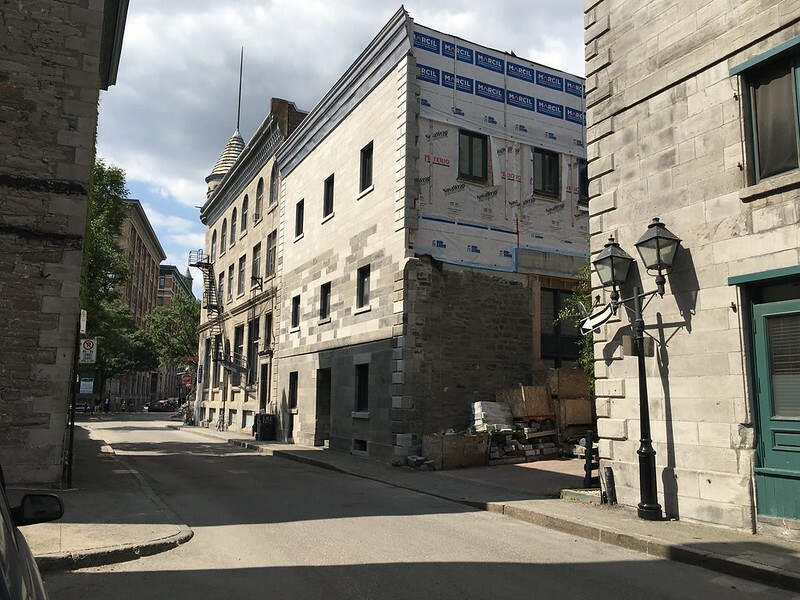 This heritage building is being renovated, with additional levels added to it. It's still not completed but I'm still wondering how was this project even green-lighted by the city. Coming soon : a 'Before / After' of this travesty. Ce bâtiment patrimonial est en cours de rénovation, avec des niveaux supplémentaires ajoutés. Il n'est toujours pas terminé, mais je me demande toujours comment ce projet a été approuvé par la ville. À venir: un «avant / après» de cet horreur. I know all about this building, if you're interested in knowing.